Make your washing machine smell free and clean your front and top loader like a Pro. You’ll love these tips and tricks, also, they’ll save you lots of money! There’re lots of reasons why you should keep your Washing Machine tip top! 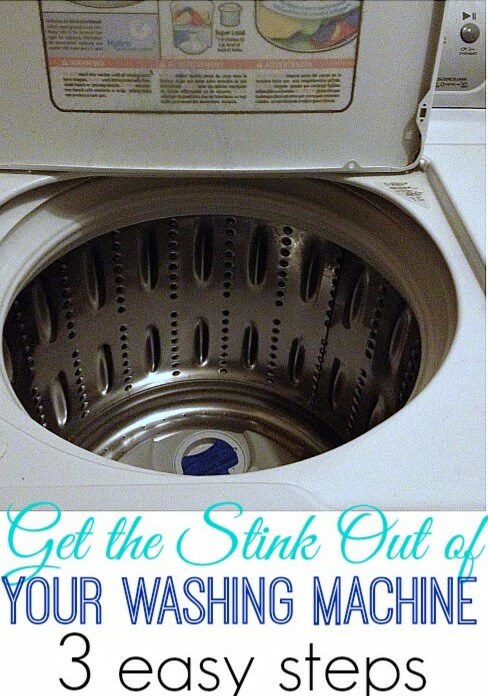 You may have noticed that your Machine has a musty almost stinky odor about it. This has to do with water and detergent residue combined with the build up inside your machine. If you want a superior clean and your clothing to smell fresh, you need to keep the maintenance up. You can use natural products for this such as Baking Soda, Lemon Juice, and Vinegar to name a few. Tips and tutorials are included in the full post on how to clean a top loader, a front loader and also the HE (High Efficiency) Washing Machine.